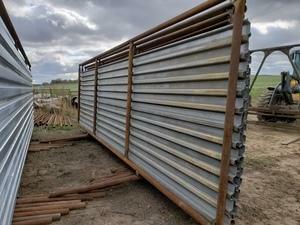 Freestanding windbreak. 24 ft long. made with 2 7/8 pipe and supersteel. 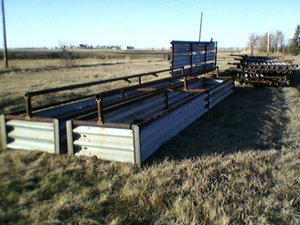 Also have guardrail windbreak panels. 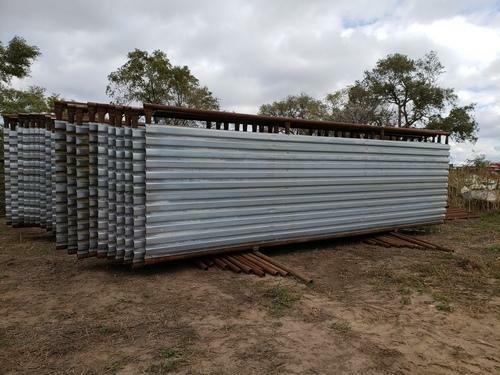 cattle guards, free standing panels, calf shelters, bottomless bunks. semi loads available and delivey is available. Come take your pick. 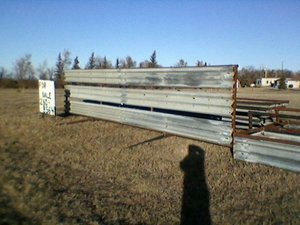 Free standing windbreak panels. Made out of 2-7/8 and supersteel.